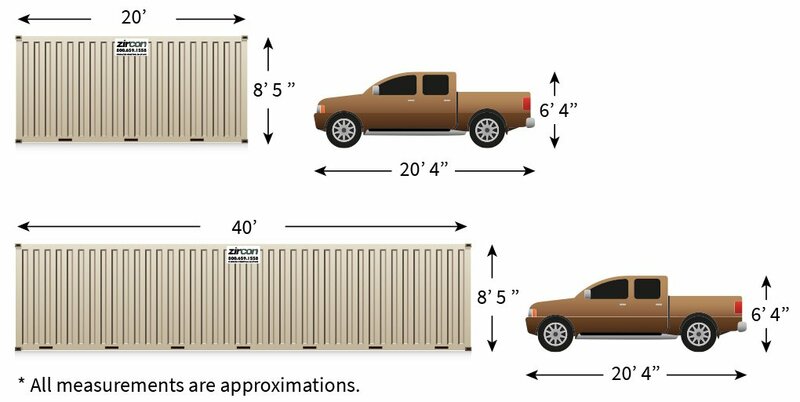 Our portable steel storage containers come in standard sizes and can be shipped and used anywhere in the world for onsite storage, mobile offices, mobile storage, office/storage combos, and workspace applications. Purchasing a premium-grade Zircon portable 20′ or 40′ steel storage container is much easier and more cost-effective than building an office or technical facility for remote use. After purchasing a durable portable steel storage container, you can move it with you from location to location for years to come. Zircon delivers portable shipping containers throughout Colorado, New Mexico, Utah, Arizona, Kansas, Nebraska, Wyoming, South Dakota, and Oklahoma. We are located within an easy drive of Denver, Colorado Springs, Pueblo, Durango, Farmington, Fort Collins, Greeley, Montrose, Alamosa, and Grand Junction.